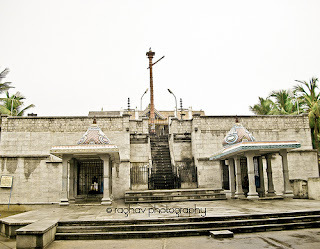 This temple at Rajah Annamalaipuram, built on a site donated by Rajah Sir Muthiah Chettiar of Chettinad, is well maintained by his illustrious son, M. A. M. Ramaswami, who is the Pro-chancellor of Annamalai University, founded by his grandfather, Rajah Sir Annamalai. When it was established in 1981, the Panchaloha idol was made by the sculptor of Nagercoil, Sri Bhattanachariar. It was taken in a procession from January 25, 1981, from the Krishnan Temple in Nagercoil to various places before it was installed in the temple at Rajah Annamalaipuram. Unlike the temple in Sabarimala, which remains closed for most of the year after the Mandala Pooja and Makaravilakku, to reopen only for Chithirai Vishu, the temple at Rajah Annamalaipuram is open throughout the year. Devotees can offer "Irumudi Kaanikkai" only for 41 days as in Sabarimala during the Man dala Pooja, which began on November 17. 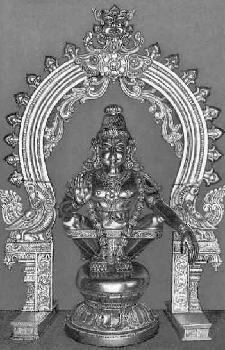 There are Moolavar and Utsavar idols in the temple and during the Mandala Pooja, "Irumudi Neyyabishekam" is performed to the Moolavar for 35 days and Brahmotsavam (main festival) is celebrated for six days. 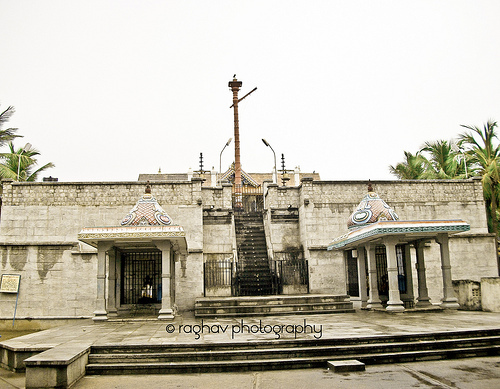 The temple has all sub-shrines as in Sabarimala for Sri Maha Ganapathi, Sri Nagaraja, Sri Maligaipurathu Amman (Manja Matha), and other "Parivara Devatas". Mandala Pooja is the main festival. Music performances, religious discourses etc., are held here during the festival and other important days.